It is coming! Finally Hossin is coming! 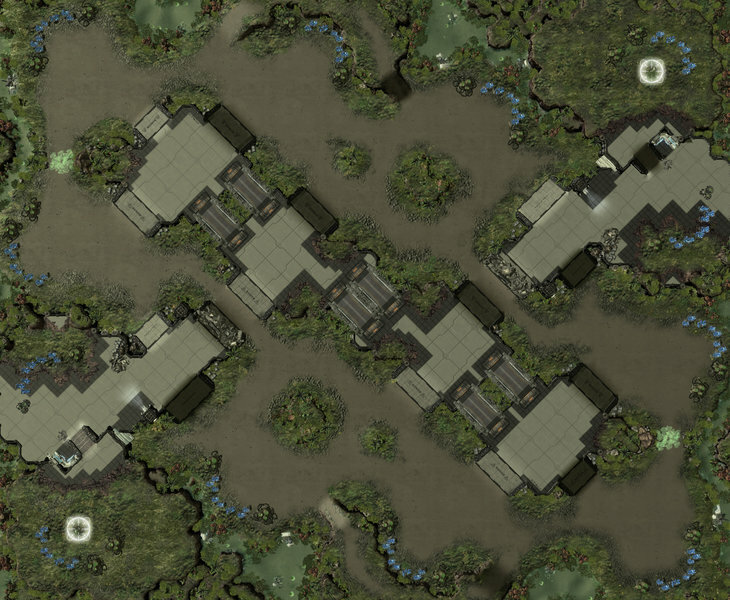 And what better way to commemorate the arrival of the new continent than with a new cool swampy map?! This map is GameHeart ready. ◙ Three pairs of bridges connect central highgrounds. ◙ No Xel'naga Watch Towers. 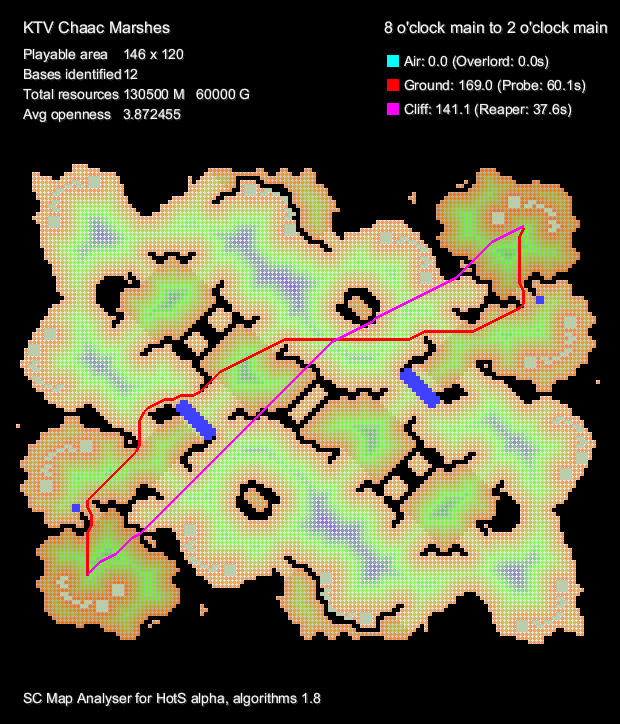 ◙ Many attack paths across the entire map. ◙ Dropeable high ground in front of the counterclockwise third bases. 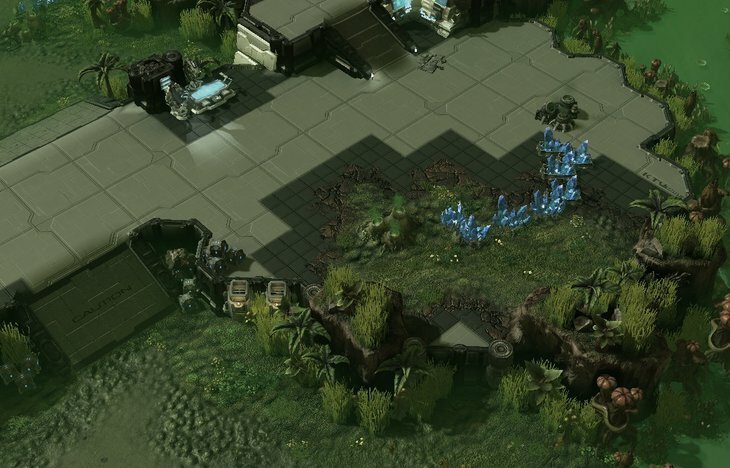 ◙ Siege tanks can shell away at you natural base from the lowground beware! Slightly adjusted the high ground so it is not as strong. 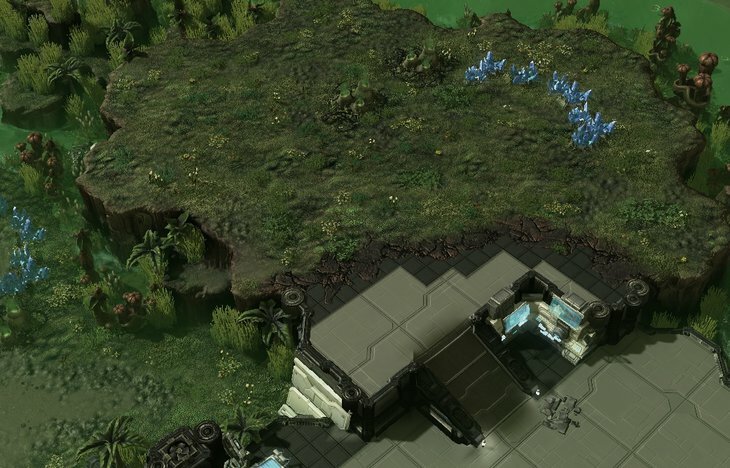 Fixed a small about of pathing issues. Expanded the "un-creep-able" areas around doodads that do not have a engulfment model when creeped to keep the overall theme of the map. Just out of curiosity, is KTV a 1-man team or are there others along with you? Map looks stunning, with a good layout as well. It is not a team, it's just a tag, a friend long ago told me that it would be a good idea if all my maps had a tag, so people could find them faster, he was also the one that made me start making maps again after a looong hiatus. Blink "all-ins" look like they would be really strong on this map. Also, how does creep spread work across those bridges? GraphicsThis is for all you new people: I only have one rule. Everyone fights. No one quits. You don't do your job, I'll shoot you myself. You get me? how can you be so good T-T. Author of Coda and Eastwatch. 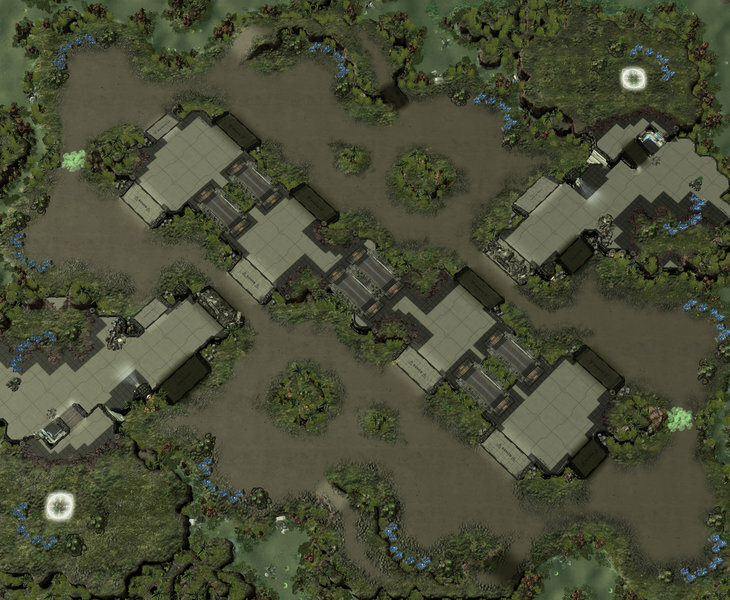 Blink "all-ins" look like they would be really strong on this map. They are certainty stronger than in other of my maps that's true, but the main is not as exposed as you may think, which makes the more exposed natural easier to defend, this is is also other of the reasons why i wanted to publish this particular map, because the map itself is clearly not on heavy rain or yeonsu levels of main exposition, but it doesn't completely denies blink all ins either. I want to see what happens. Also, how does creep spread work across those bridges? The bridges can't be engulfed by creep nor constructed upon, so no creep across the bridges, i don't want zerg to be able to control the middle as easily, because the layout can be very SH friendly once the players have taken their fourths in a clockwise fashion and if allow creep to be spread with ease i'll end up with a recipe for failure. Guys also, new version! fixed quite a bit of issues with the creep where it would not spread to areas where it should and vice versa, i have also added Gameheart support to it and fixed some minor pathing issues, if any of you find a bug regarding creep or pathing let me know and i'll fix it asap. This map is amazing! It's one of the best ones I have seen in a while, that's for sure. The layout with that central high ground is really nice and unique, reminds me a bit of Cloud Kingdom. The aesthetics are beautiful as always. I agree that Blink is not excessively strong on this map, but it does allow for Blink play, which is nice I think. I don't know if it was a deliberate decision to make the bridge "creep-resistant" or it was necessary for some reason, but I don't think creep there would favour swarm hosts that much. In fact, I would say the layout itself doesn't really give the SH player an edge, since there are a lot of possible attack paths to circumvent them. 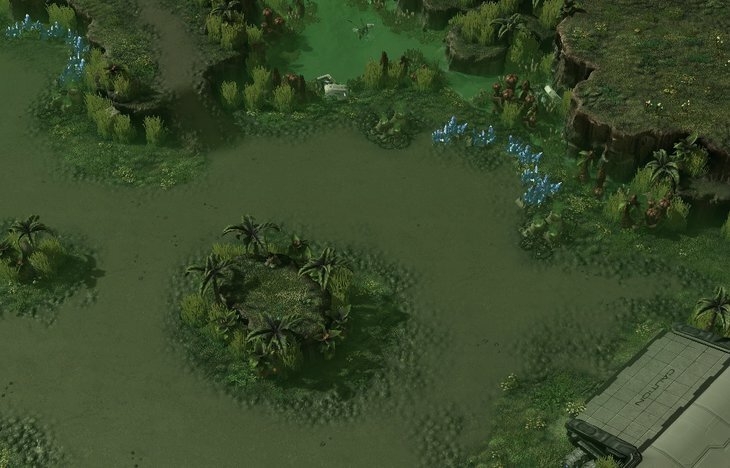 Inb4 kantuva gonna make entire ladder map pool. Calling it. Anyway, fog looks really strong, after seeing the overview I think it should be a bit weaker somehow. You often learn more from losing than winning. Don't rage, it's a game! On June 24 2014 07:54 NewSunshine wrote:Anyway, fog looks really strong, after seeing the overview I think it should be a bit weaker somehow. Changes arriving! Only two this time, smallish but juicy. I added debris at the natural choke to make easier the walling off (my little experiment didn't work this time it seems :/ next time it is! ), and slightly adjusted the high ground so it is not as strong. That's it, the map is uploaded to the four regions, it has gameheart attached and it's ready to be played, Enjoy. Is this a grassy versions of cloud kingdom? Aside from some high/low ground changes. I won't say to stay away from anything Cloud Kingdom does - the map was incredibly successful - just don't go into a map intending to lift things out of it, which you don't do as it is. People will say what they want, all you have to do with your maps - or any art really - is just be sincere. If something reminds someone of something else, so be it, but it should be clear that it came from you. That's all that matters. Most of the base positions are very similar to cloud kingdom, and the central high ground included seperating it all too. sure the 3rd is low ground compared ot high ground in cloud but honestly this map looks alot like cloud minus a few high/low ground differences like I originally said.